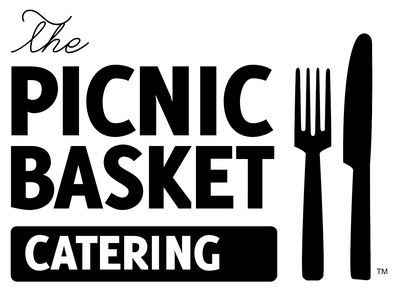 The Picnic Basket was started in 2002 by a couple of broke college guys, Erik Dailey and Bryan Woody, with a common dream; a dream of opening a successful business that could become an integral part of the community for years to come. What started out as a sandwich shop has blossomed into a one of the premier full service catering companies in North Carolina. The Picnic Basket began in early 2001 with a phone call from a triangle employee, Bryan Woody, to his college roommate, Erik Dailey, who had just graduated from UNCW. Erik had taken a job selling six dollar a month insurance policies door to door in Wilmington to make ends meet until law school started in the fall. The two had been talking for the last four years about opening a business of their own. They were always hindered by the same problem a lot of us face. No money. On many occasions they had sat in the second floor of the library of UNCW for hours and contemplated different ideas for businesses. Each one of them ended up being too costly. But this particular phone call on this particular summer day was different. Bryan had spoken with his grandfather and he had agreed to grant Bryan and Erik a small business loan. This was the beginning. Erik’s background was in law and Bryan was an extremely talented computer programmer. So when the call came in that a local coffee shop was going out of business and the owner wanted out quickly, it was an obvious choice for a computer geek and a would be lawyer. Erik and Bryan took all the money that they had and paid the owner of the coffee shop everything they had. Operating capital or upfit expense were not even considered. Erik called an accountant after the purchase with the realization that they were once again broke. The accountant asked a series of questions to determine the likelihood of success. What kind of Restaurant experience do you have? None. What kind of operating capital do you have to get you through the first year or so? None again. Just a couple credit cards with small limits. The the accountant quickly chuckled, exclaimed that under the best circumstances the rate of failure for a new restaurant was about 90 percent and then said good luck and hung up the phone. Erik and Bryan took this as a challenge for they had to repay the loan no matter what. They adopted two different slogans, “Shoot first, take aim later” and “Failure is not an option.” Bryan had read an article saying that sandwich shops are increasingly popular and the future of the restaurant industry. The coffee shop was transformed using blackboards and other materials found in the attic. A name was suggested by Bryan’s girlfriend at the time of “The Picnic Basket” and quickly adopted. They had to be different. Something had to set them above the rest. When developing the menu they ate at several different sandwich shops in the area and determined that with every sandwich they ordered they got chips and a flimsy little pickle. Why not something fresher. Something Healthy. Why not get the freshest fruits from the local farmer’s market and offer a skewer of different fruits. The Picnic Stick was born. And instead of a bag of chips, offer a variety of succulent homemade side dishes and soups. This would not only be unique but offer an even healthier alternative to the usual. The first food order was put on Erik’s personal credit card and because there was not enough money to market the product through usual means (TV, radio, etc.) part of the food was given away to a group of administrative assistants that professed they ordered luncheons for their company. This is how The Picnic Basket has been advertising ever since. Try the food, if you like it, order, if not, you just got free lunch.